Achievas Music artiste, Solidstar, has revealed that women are part of the motivation that spurs him to write good music. 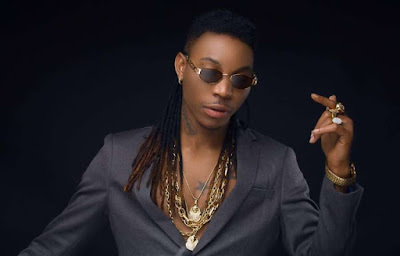 While speaking to Vanguard News about his inspiration as an artiste, he said, "I get my inspiration from women; I like being around them but they are just my friends." "I love to hear what they are saying about themselves." "So, I get inspired by the words, and I just put one or two of their words into my lyrics and come out with whatever I see around me." Concerning how he has been able to manage them, the singer explained that he has learnt how to handle women in a bid to stay scandal free. "I have to learn how to control my female fans because I don’t like scandals. So, whenever I come across them, I treat them good." "I make them feel at home. As I said, I always love being around women. I love ladies."